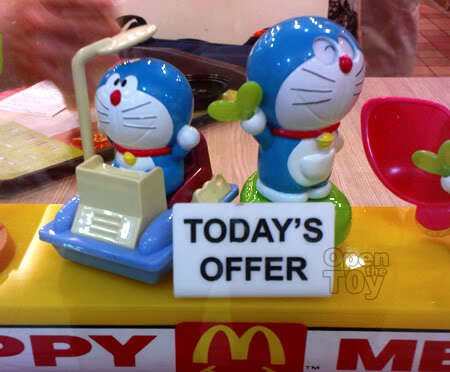 After the Hello Kitty 35th Anniversaries, Mcdonald now move to Doraemon toys. These Doraemon series are "Nature" theme and design more to a stationary for children. The likeness of Doraemon is flawless given the price of the toy. Total six of them to choose from. 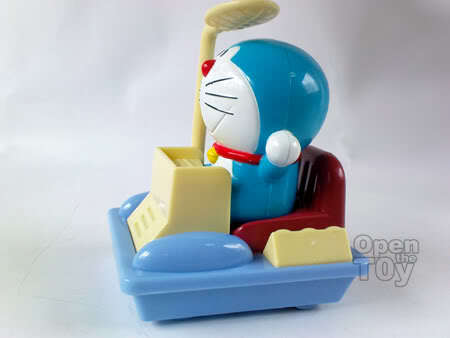 The Time Machine is a rolling kart and the other Doraemon a stamping Roller. 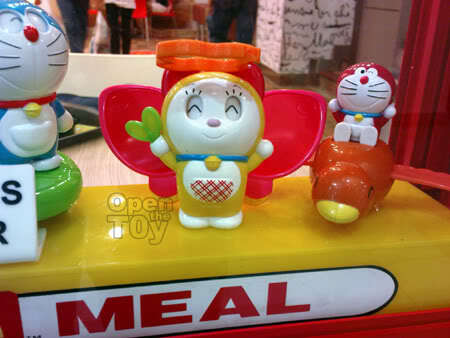 Doraemon's sister, Dorami is a wind up butterfly and the Red Doraemon on a bird is a sticker dispenser. 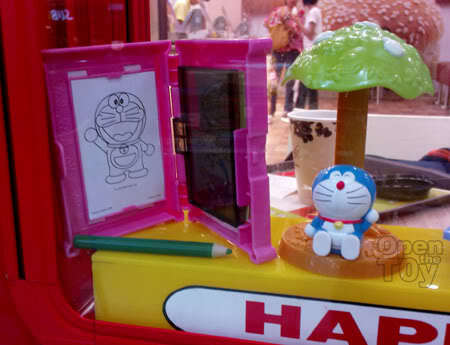 Doraemon door is a Sketch board and Doraemon sitting under a tree is a Pen. I bought the Time Machine Doraemon. 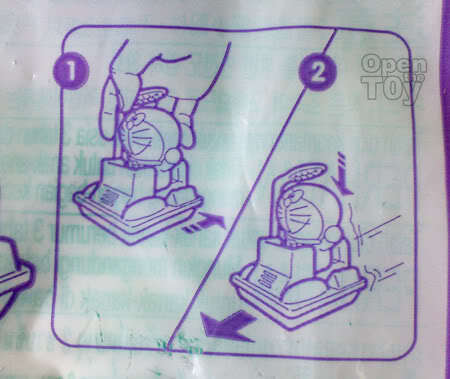 Simply pull the figure back and after a few pull, press on Doraemon's head to allow Doraemon to drive his Time Machine. The side look decent too! Beside the awful hole at the back of the head, the rest of the back look alright. This is going to be one great set for office table displaying and somehow I think this series is more cooler than the Hello Kitty 35th Anniversaries series. Would you like to see the rest of my hello Kitty annversaries collection? Ask Doraemon for it. Maybe he will take us back in time to see what Hello Kitty of the previous Macdonald collection I got. In case you do not know, Doraemon is 30 this year. Doraemon is definitely one popular Happy Meal toy range. Bet there will be more adults than kids wanting it. Wow you guys get great toys at McDonalds. We haven't gotten anything cool in years. By the way, like the new Doraemon banner! I am sure of it especially for the ladies. Thanks bro. You should take a look in taiwan and Hongkong. Their happy meal toys offer more anime toys like one pieces. Thats got to be the best looking McD's toy ive ever seen, perfect reproduction of the character. Think you choose the best one, under the tree one i like aswell. 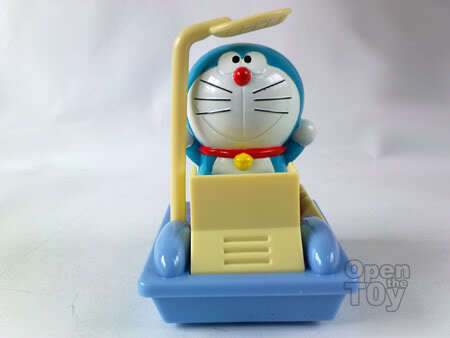 The Time Machine Doraemon is very nice!